This site – dhanyasy.org – is the primary web presence of Dhanya Subramanian – music teacher, singer, and award-winning alumnus of the Kalakshetra Foundation, Chennai. A native of Thrissur (Kerala), Dhanya began her musical career at the age of five under the tutelage of Sri. R. Vaidyanathan, disciple of Alathur Brothers. In 1996, her musical pursuits took her to the prestigious Kalakshetra Foundation in Chennai, where she studied carnatic classical music – majoring in vocal and minoring in violin. As part of her 5 year gurukulavasam at Kalakshetra, Dhanya received her initial training under Sri. Hariprasad, disciple of Dr. Balamuralikrishna. Following her initial training, she was fortunate to receive advanced training from Smt. 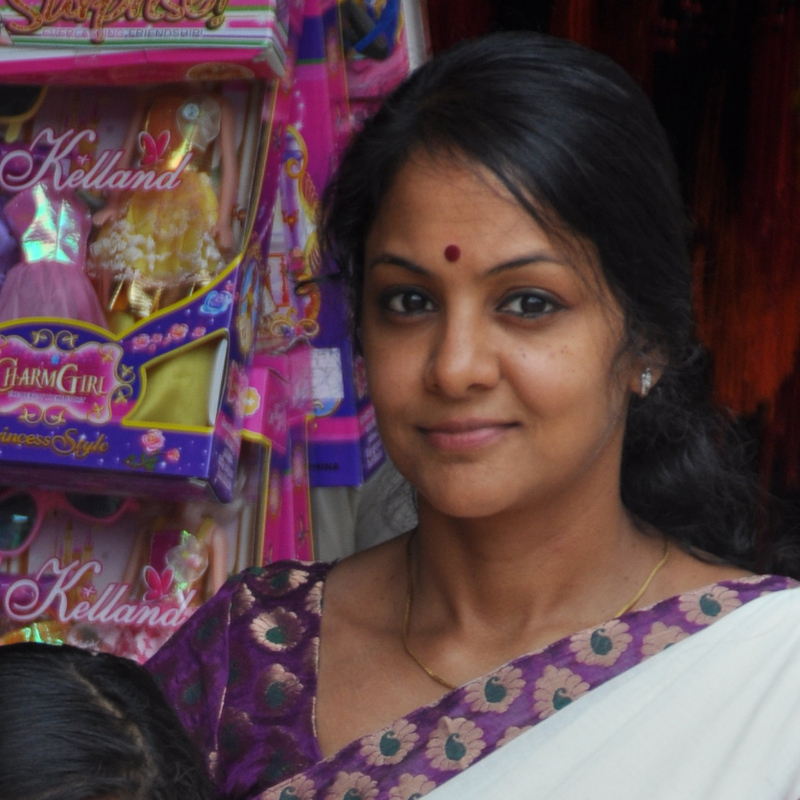 Bhushany Kalyanaraman, wife and disciple of Sri. Tanjore S. Kalyanaraman (senior disciple of the legendary G.N.B), Sri. Pakkala Ramadas, disciple of Sri. Lalgudi G. Jayaraman, and Sri. Vairamangalam Lakshminarayanan. Dhanya is a recipient of annual music scholarships from the Govt. of India. She has contributed to advanced study initiatives on the works of Sri. Mysore Vasudevachar and has a Bachelor’s degree in Carnatic Vocal from the University of Madras. Dhanya presently lives in San Francisco Bay Area with her husband and daughter. She teaches carnatic music (vocal), locally in bay area and online through this website (dhanyasy.org) and skype. If you would like to get in touch with Dhanya Subramanian, please fill out and submit this contact form.